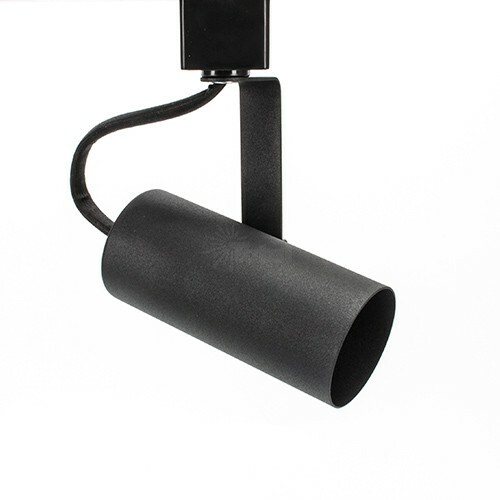 The basic Black screw in LED track fixture. 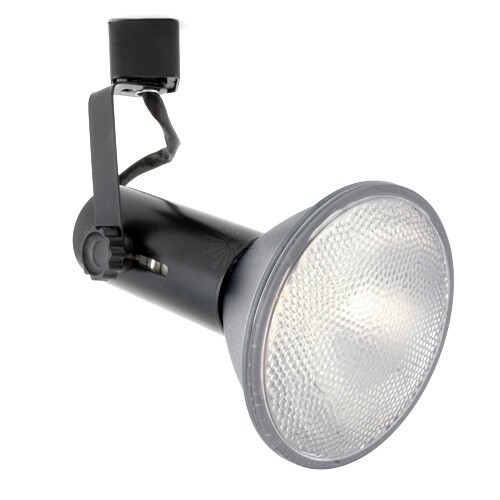 The most common fixture for H-style track lighting accepts almost any 120volt screw in bulb. 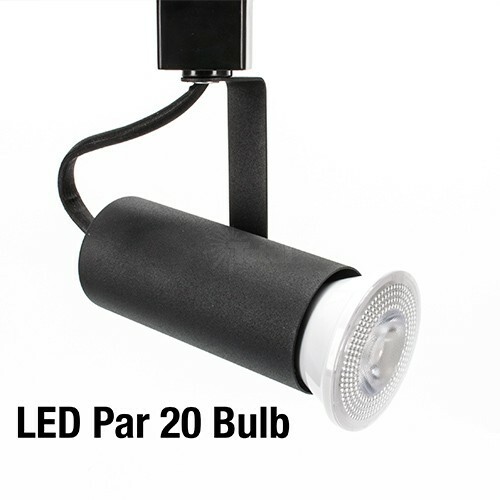 We like it as an LED track fixture for PAR20 and PAR30; not so much the PAR38 due to its weight. But almost anything else goes. 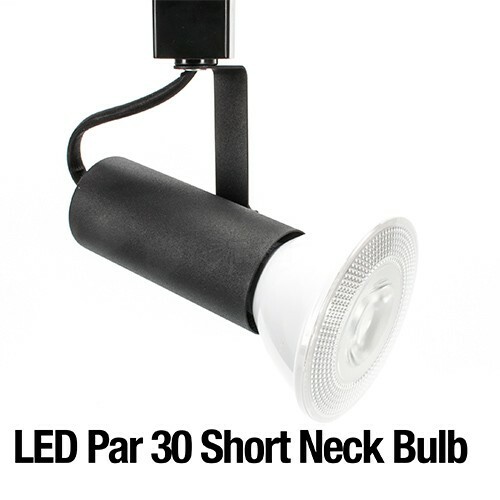 Inexpensive fixture allows you to choose the bulb for the application, change them out as needed, and due to their low cost they can take a beating and you will not feel bad if they get hurt. 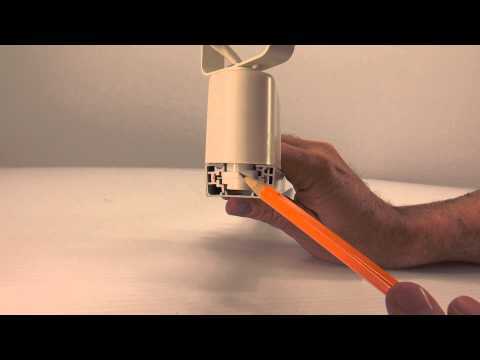 For lighting on a budget with tons of flexibility. Used at trade shows, retail, and with higher ceilings. Simple and effective. 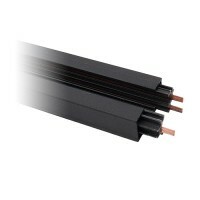 Not for use with suspended track systems, but works well in all of our dual circuit power track systems. Some call this a universal track fixture. 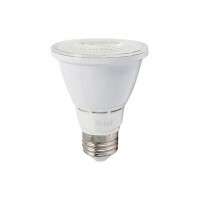 Works with most any bulb that has a screw base. 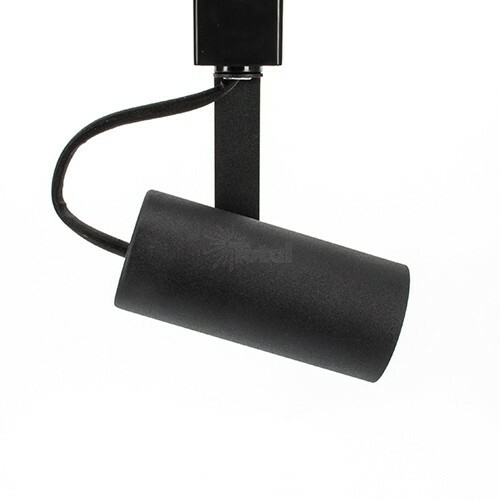 Fits in most H-style Wac track lighting, Halo track lighting system but not the Juno or Lightolier. 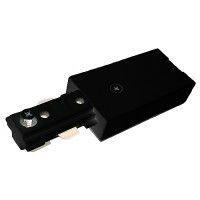 Will fit Hampton Bay, Home Depot, Lowes and most other track systems that use the H-style. 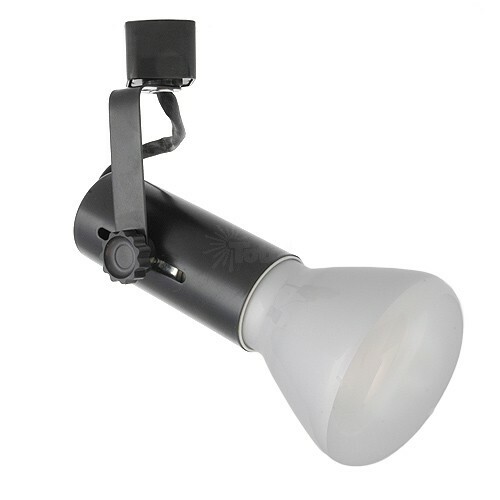 If you are in retail it is this fixture that is on all 15 floors of the Trade Mart. 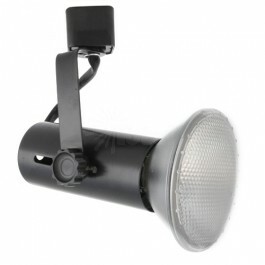 Keep this fixture in mind when you are on a very tight budget. 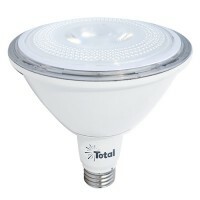 This fixture as well as many of our fixtures does not have the LED built in. There are advantages to both. 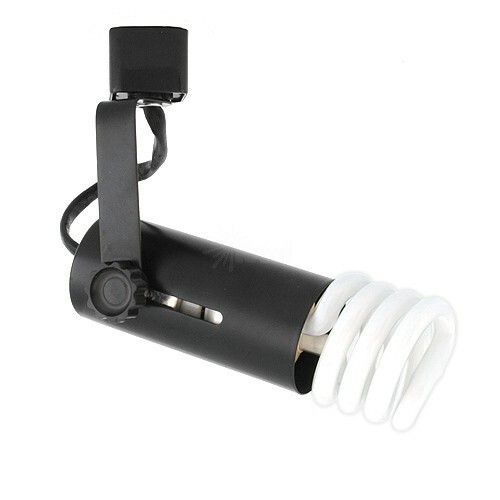 In this case there are hundreds of LED bulbs that just screw into this fixture including the old school incandescent, the LED incandescent look-alike, Halogen and some fluorescent screw in bulbs. 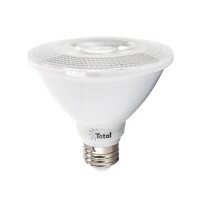 We offer all the new LED PAR/R/BR bulbs for this fixture. It provides energy savings, versatility, and expandability. And, when you want another beam spread, color temperature or color rendering bulb, just screw it in. 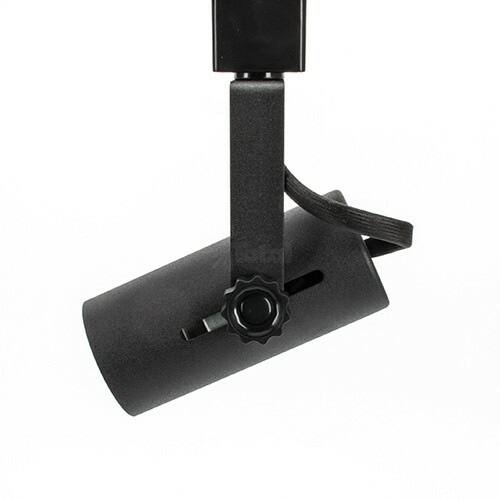 Track lighting gives you the versatility to create bright, exciting, and dramatically displayed lighting environments. 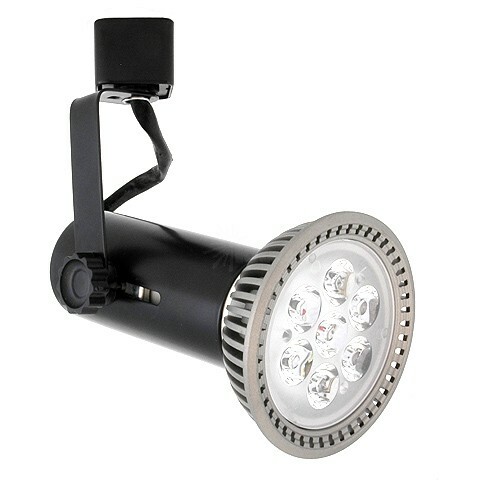 It is always the choice for retail lighting or anywhere directional, controlled lighting is required. 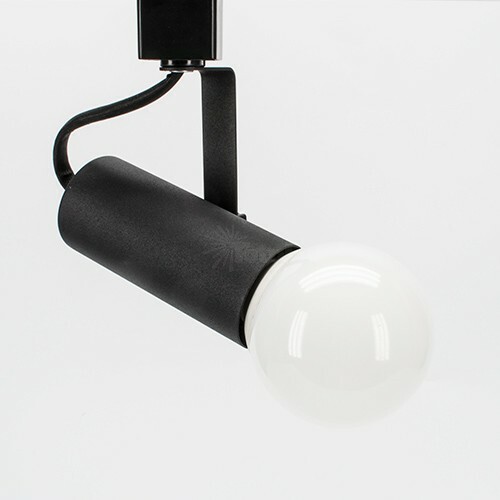 You will find track lighting in almost every retail store, gallery, museum and even office lobbies. It is all about versatility, expandability and ease of use. 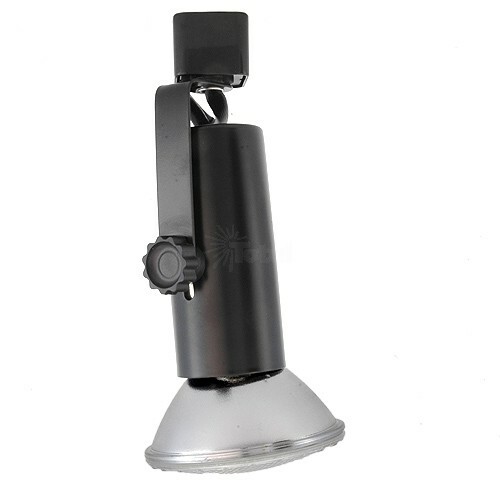 Our track light fixtures are part of our extensive and complete track lighting system. 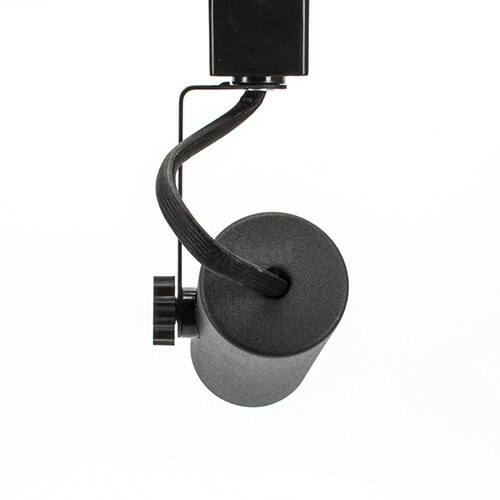 We offer almost every part you need no matter the complexity of your project. Our "Build a Kit" feature allows you to load a shopping cart if you already know what you need. (Please see the link below.) If you have a larger project, we offer the "7 Fast and Easy Steps" link to start working with our designers to get you a layout and list of materials going. Both of these links, as well as other helpful track installation links can be found below. They will make you an expert! For commercial projects our designers can work with you and your contractor so you get exactly what you need, get it there quick, and get it installed without any drama. And, we know how to keep costs down, get the best look for your project, and keep versatility in mind. We consider the beam spread, distance from the wall, ceiling height and needs of the space. 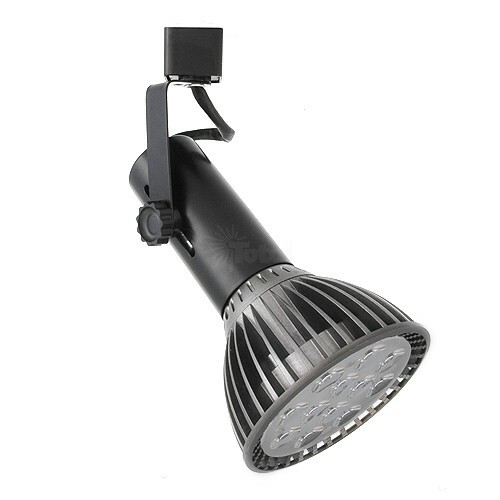 Our track lighting systems offer both interchangeable LED bulbs as well as integrated LED. 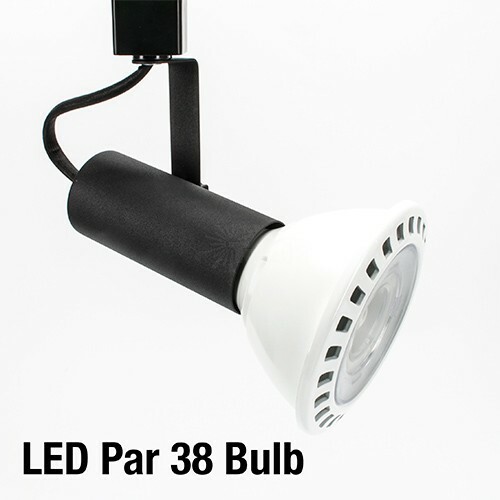 These fixtures can be used on many of the systems from Home Depot, Lowes, Wac lighting and most any H-style track. 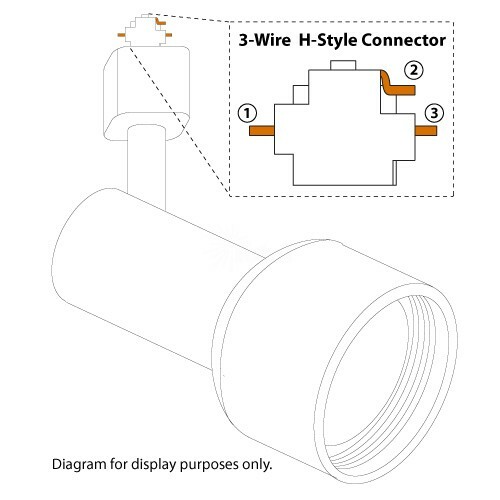 If this is for an existing system send us a photo of the connector on your current light fixture. Simply take it out of the track and take a photo with your camera phone. Technology makes it so easy. 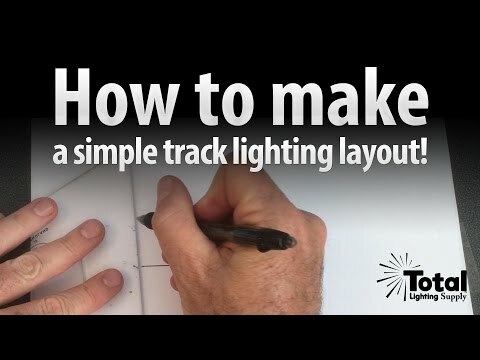 The "Know Your Track Lighting Style" Link is above. Keep on budget, get all the parts you need and get the job done on time with us. 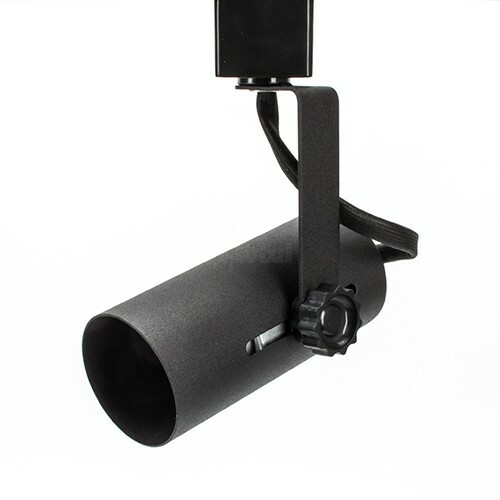 This fixture has an adjustable pin on the bottom to allow use in our single circuit H-style track as well as our dual circuit track lighting system. 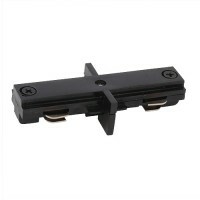 Only the pin needs to be adjusted up or down depending on the H-style power track you have. Usually ships Free by USPS 2-3 day from our parts department. Do not order by air.